Nowadays in all countries detailed elaborated planning documents are condition for a successful presentation of a wind farm project for public institutions as well as for potential investors. 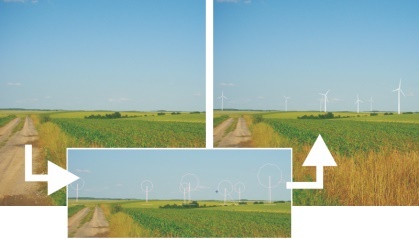 Professional and convincing visualizations (photo-montage) are an essential component of the wind farm planning. Our experienced team prepares convincing, dynamic and static visualizations in close cooperation with our clients..